As packaging design experts, we just love fresh, new packaging design ideas! And with Easter just around the corner, here are some egg packaging designs that are simply…EGGcellent! 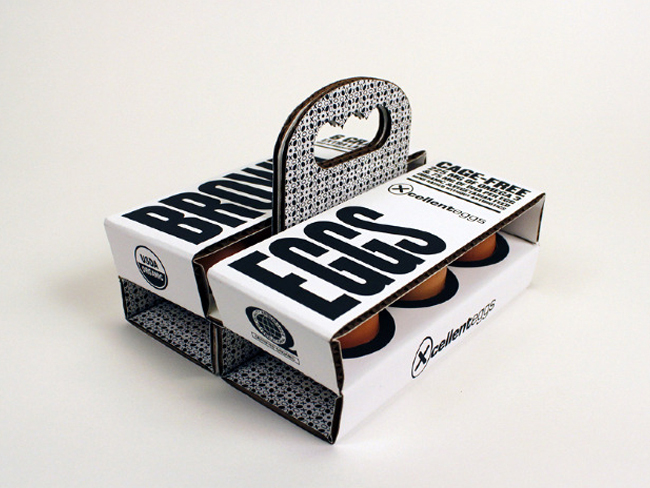 Designed by Sarah Machicado, a graduate from the Maryland Institute College of Art, ‘Brown Eggs’ is a sustainable packaging concept designed for 6 extra large brown eggs. The sustainable packaging uses 100% post-consumer corrugated cardboard and is printed with soy-based inks! A clever and extremely environmentally-friendly design! Check out these chicks! For the Greek company Avgoulakia, a truly creative packaging was developed, which incorporates elements of Greek heritage and tales in order to create a visual narrative. 3 special chickens were created: Madame Coco for bio eggs, Miss Nelly for barn-laid eggs and Captain Mahe for free-range eggs! The fun, colourful approach and the amazing chicken characters perfectly portray the brand’s fun and honest personality, whilst also incorporating traditional greek heritage and values. A great and eggstraordinary approach that truly stands out on the shelves! 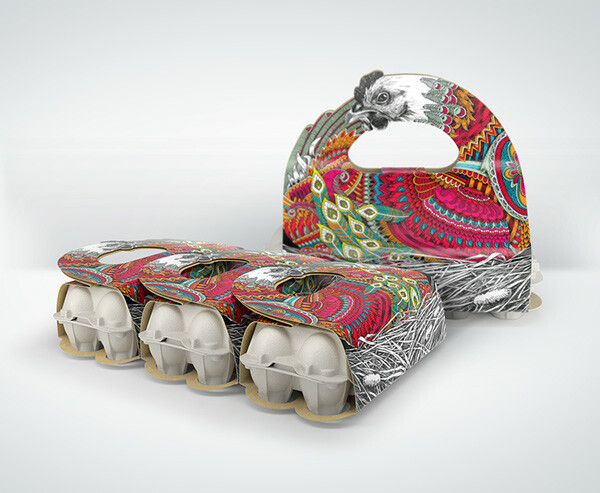 This clever packaging concept developed by designer Alexandra Istratova combines egg box and grocery bag into a stunning egg packaging design that is both beautiful and practical. The colourful packaging is decorated in the form of a hen laying eggs and aims to demonstrate the freshness and high quality of the eggs, whilst the handle makes it easier to carry the eggs without damaging them. Another Eggciting egg packaging concept! The design is based on geometric shapes and vivid colours, which aim to reflect the freshness of the product. We absolutely love it! Are you a food brand looking for a brand new packaging design? Contact CuCo today on 01202 911959 or email hello@cucocreative.co.uk – we’d love to help!